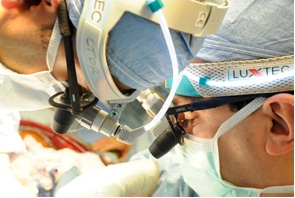 The Cardiothoracic Surgery Residency Program is a two-year residency program, which follows the completion of a general surgery or vascular surgery residency. Although there are no designated tracks, significant individualization of training between adult cardiac, congenital, transplant, and thoracic surgery is possible. There are over 600 adult cardiac cases and 950 thoracic cases performed annually at the University Medical Center and VA Puget sound as well as 550 open and closed cardiac cases at Children’s Hospital and Medical Center Sound Healthcare System. At the time of matriculation applicants must have successfully completed a general surgery or vascular surgery residency and be board eligible in their specialty. Applications are submitted during the 4th clinical year of surgery training. The Division of Cardiothoracic Surgery at the University of Washington is a participating member of the National Resident Matching Program (NRMP) and accepts applications only through the Electronic Residency Application Service (ERAS). Canadian applicants should contact the Canadian Residents Matching Service. All available USMLE and ABSITE Scores should be included in the ERAS application. Paper applications are not accepted. We offer 2 interview days per application cycle which take place on a Friday from 6:30am-5pm with a casual dinner reception to follow at the home of one of our faculty. Applicants are encouraged to attend the dinner which usually ends by 8:30-9 pm. For further information on applying to our residency/fellowship program, contact the Program Administrator. See the Education Contacts page for Cardiothoracic education contact information. The primary objective of our Integrated Six Year Cardiothoracic residency is to produce a balanced, well qualified cardiothoracic surgeon prepared for clinical practice or an academic career. The training will include periodic review and evaluation in the six areas of competency as designated by the ACGME and required by the RRC (fund of knowledge, patient care, professionalism, interpersonal skills and communication, practice-based learning and improvement, systems based practice). The residency is designed to provide residents with focused, hands on experience in General, Cardiac and Thoracic surgery. The 4+3 residency allows for early specialization and requires a joint match into the General Surgery residency program at the UW as well as the Thoracic surgery residency. The first four years of training (PGY 1-4) provide exposure to cardiothoracic surgery but focus on gaining the requisite technical and clinical skills in general surgery. The PGY 5-7 years are then spent on the requisite cardiothoracic surgery clinical rotations focused on, general thoracic, cardiac and congenital cardiac and includes a General Surgery Chief Resident year. Upon completion of the 4+3 residency, residents are board eligible for both the American Board of Surgery as well as the American Board of Thoracic Surgery. This residency includes formal simulation programs as well as weekly didactic conferences which follow the JTSCE and SCORE curricula. This residency does not include a dedicated research year. However, our faculty are active in a broad range of research including basic science as well as clinical and surgical outcomes and resident participation is encouraged. Eligible applicants will be considered based on their individual preparedness, ability, aptitude, academic credentials, communication skills, and personal qualities such as motivation and integrity. USMLE step 1 and step 2 exams must be completed. A graduate of a medical school outside the United States and Canada who has received a currently valid certificate from the Educational Commission for Foreign Medical Graduates (ECFMG) prior to appointment, or a full and unrestricted license to practice medicine in a US licensing jurisdiction in which they are training. Students and graduates of foreign medical schools should view our Certificate Program for International Physicians. This is a pre-requisite for foreign medical school graduates who seek residency positions in our program. Canadian applicants should contact the Canadian Residents Matching Service. The Division of Cardiothoracic Surgery at the University of Washington is a participating member of the National Resident Matching Program (NRMP) and accepts applications only through the Electronic Residency Application Service (ERAS). Canadian applicants should contact the Canadian Residents Matching Service. Applicants interested in the 4+3 program should apply individually to both the Integrated Thoracic Surgery and General Surgery Residency Programs. Applications are reviewed in October by both the General surgery and Thoracic residency programs. Any parties interested in the 4+3 Residency should contact the CT program Administrator directly for more details. We offer 2 interview days per application cycle which is coordinated with the General Surgery residency program. The residency is designed to provide residents with focused, hands on experience divided equally between Cardiac and Thoracic surgery and therefore there are no designated cardiac or thoracic tracks. The first three years of training (PGY 1-3) allow for the completion of the prerequisite cardiothoracic surgery clinical rotations including exposure to general surgery, vascular surgery, critical care, cardiothoracic surgery, echocardiography and CT anesthesia. The PGY 4-6 years are spent in the requisite cardiothoracic surgery clinical rotations focused on, general thoracic, cardiac, congenital cardiac and foregut surgery as well as end stage heart and lung disease including mechanical circulatory support and heart and lung transplantation. We offer a formal simulation program as well as weekly didactic conferences which follow the JTSCE curriculum. Our residency does not include a dedicated research year. However, our faculty are active in a broad range of research including basic science as well as clinical and surgical outcomes and resident participation is encouraged. Applications are reviewed in early October. One integrated residency position is offered per year. We offer 2 interview days per application cycle which take place on a Friday from 6:30am-5pm with a casual dinner reception to follow at the home of one of our faculty. Applicants are encouraged to attend the dinner which usually ends by 8:30- 9pm.